Trust is both a complex and nuanced topic. Its very nature makes it difficult to tackle through direct effort. But with consumer trust across industries at an all-time low, the notion of trust can no longer remain too complex and nuanced to tackle. Organizations need to take action now. Before we start, it’s worth noting that your objective probably shouldn’t be simply to earn trust. Trust can be eroded in a matter of minutes. Some of how that happens remains partly out of your control. But what you can control is the effort to evolve your culture, workflows, and processes in such a way that you become an inherently trustworthy brand. Your inherent trustworthiness cannot be eroded in minutes. It extends beyond slogans and values. It’s systemic and it lives across the entire breadth and depth of your organization. By focusing on becoming inherently trustworthy, we believe you will be better equipped to deliver new and unique value to the people you serve. By delivering new and unique value through inherently trustworthy experiences and business models, you will competitively differentiate in a market where mistrust has become the new normal. Whether we buy food or acquire a competitor, our trust in an expected gain drives economic activity. Without this, value creation is impossible. Unfortunately, most existing definitions of trust fail to highlight the pivotal involvement of trust in human trade and its paramount importance to the global economy. The Trust Economy challenges this status quo in which trust is a barely understood, overlooked concept. It defines trust as a crucial economic asset, namely as: value realized by means of an economic or social interaction. This explicitly associates trust with value and acknowledges the unique role of trust as a glue between human value exchanges of all kinds. The clarity offered by such a definition should make it easier for companies to see building and maintaining trust as the core objective of all management efforts—in other words, to focus on maximizing value by maximizing trust. But how exactly does trust create competitive advantage for a business? In its most essential form, trust is a perception of the world that is intricately linked to an economic reality. Companies, products, and services that we trust most realize the most value, because trust creates and sustains demand, both for a company’s stock as well as for the goods or services it sells. The world’s leading businesses (and people) manage to establish perceived monopolies that position their value proposition as unique and peerless, affording them significant advantage over the competition. Such perceptive monopolies are created in people’s minds by establishing superior levels of trust. Superior trust in goods or services creates powerful perceptive monopolies in people’s minds that are difficult to challenge—the most trusted player wins. For instance, a dedicated Apple enthusiast may harbor the belief that Apple products are unique in the market and irreplaceable by competitors’ alternatives. Objectively speaking, one could argue that comparable alternatives to iPhones and Macs do exist—but in the customer’s mind, there are none. Needless to say, perceptive monopolies are gold mines of value for businesses that manage to create them, affording them a uniquely beneficial competitive position and future-proofing the business against the threat of being displaced or rendered obsolete. The more trusted an organization, the harder it is to outcompete. Putting in place an organizational trust strategy is a great way to increase both trust and competitiveness in tandem. It involves analyzing all existing business activities of the organization in terms of whether they build or destroy trust in order to reengineer the organization to focus on areas in which it excels at inculcating trust and fixing those in which it is eroded. This universal, highly effective approach to creating trust-based differentiation can maximize the value realized across any business. The following 6-step methodology extracted from a chapter of The Trust Economy (opens PDF) provides a tool for how this is best achieved by offering a simplified, organized, and sequential approach to trust building efforts. It is designed as a guiding framework and centerpiece of a trust strategy, informing the way trust is created, measured, and recovered. The Trust Model aims to maximize trust in any situation or context, with any type of stakeholder, across any medium of interaction. We’re told that first impressions count. Perception matters, and in the context of trust building, it serves as a critical gateway for trusted relationships. Perception is becoming less about delivering a message and more about effective ways of disseminating truth to the right people. In the information age the reality, however good or ugly, can no longer be hidden effectively. Companies looking to leverage perception in their favor are advised to focus on being really good and standing out in ways that matter to their clientele. Perception may be powerful in preparing for trust building, but it does not necessarily carry a call to action. This usually takes the form of a tempting “invitation,” a gesture we extend to invite trust. In order for something to be desirable for us, it must scratch an itch. The underlying need it serves can be basic (a bottle of water in the desert provides sustenance) or high-order (a luxury mountain resort provides peace and quiet for relaxation). What qualifies a desire is our trust that we need and want the object, service, or person of our choosing. Having offered someone a temptation, the next key element is empathy. With the overwhelming variety of consumption choices we face nowadays, companies that invest in really understanding human needs cut through the clutter. Speaking and acting in humane and personable ways, as well as aligning to customers’ interests and values, are some of many important activities falling into the connection stage. Trust building is a social contract, and just like any other contract it requires some form of validation to materialize. While validation approaches vary in scope and intent, they are all important stage gates that transform a trust building exploration into a relationship. This relationship is the basis for initial and future dealings between the involved individuals or companies. Once validation has affirmed the critical assumptions in the trust building sequence, a new status quo is created. Attachment is characterized by repeat and habitual engagement during which lasting value from the relationship is harvested both ways. The initial outcome might range from a friendship to a sale or a venture investment, but the long-term value of successful validation in a trust building interaction goes far beyond that. On its foundation, future economic and social interactions can be built. Highly trusted people and companies thrive on unsolicited referrals enlarging their audience. Advocacy requires us to attach ourselves, with our beliefs and values, to another person, company, or idea. Like any form of association, this carries a risk, and we normally want to make sure we associate with the right things and people. If you speak highly of something or someone, you believe what they do and say matters, so much so that you spread the word about it. Advocacy has altruistic motives (we recommend something because we genuinely believe it is going to enrich someone else’s life) but it builds tangible economic value and trust. Due to the spillover effect of advocacy, we arrive once again at the first stage of The Trust Economy Model: perception. It illustrates that trust building has no defined beginning or end. Rather, it is a continuous process. By helping increase trust irrespective of context, The Trust Model can be applied to create an engine of progress and innovation that maximizes human and business value. Check out the book, and let us help you apply it to your industry and context. Now that we’ve provided you with a framework for how to re-think and embed trust in your organizational strategy, it’s critical we cover some of the nitty-gritty details, specifically as it relates to data and the story that data tells about real human beings. Even before we mentioned it, you’ve probably heard that consumer trust is at an all-time low. This is largely the result of organizational success metrics—and thus organisational practices and behaviors—not aligning to the metrics the people they serve as customers care about most. To put it simply: when we compete with our customers, no one wins. Questionable data practices, outdated business models, and zero-sum experiences are driving what we’ve come to know as the data trust gap. 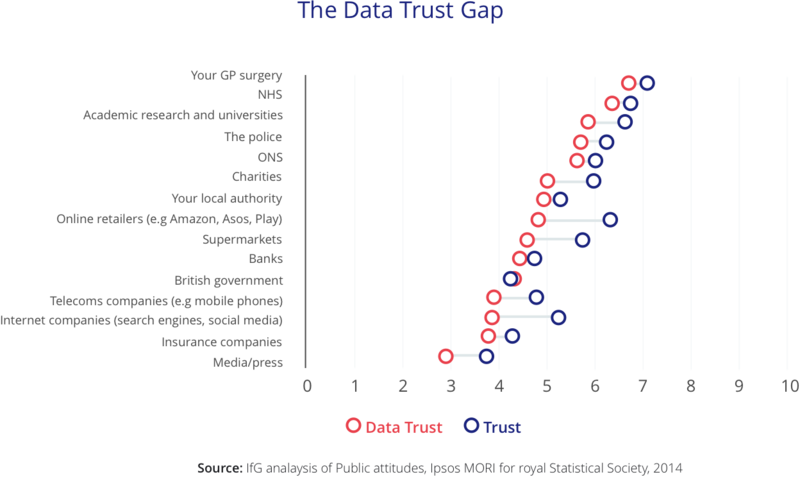 The data trust gap is the gap between brand and data trust. It’s a state in which people have a low propensity to willingly share their data with a brand, regardless of the core purpose of the relationship. Because data is inherent to each and every customer relationship—it grants access, offers insight, and can even mean the difference between frustration and delight—we believe brand trust and data trust should be one in the same. Fortunately we aren’t alone. In much of the world it’s become a fairly widely held view that today’s outdated models—those that effectively rely on “people as the product”—cannot continue. Regulation won’t allow for it. People won’t stand for it. Brands cannot afford it. The only pathway forward is to focus exclusively on positive-sum models. Privacy and security. Privacy and utility. Trust and personalization. To do this, we as practitioners need to help drive cultural-, workflow-, and practice-driven change that leads us towards inherently trustworthy models. Inherently trustworthy models are driven by customer and business alignment. These models are radically transparent, they consistently deliver value, and they own the consequence—positive or negative—resulting from their actions. This is a step change for most. So to help organizations get from zero to one, or in this case, from trust gap to an ability to release inherently trustworthy products and services to market, >X, together with the Data Transparency Lab developed 3 plays and a take to work playbook. Play 1 is a process that helps brands understand the movements in the current market. They survey behavioral, technological, and regulatory trends. They synthesize and frame a point of view. From there they progress towards the next play. 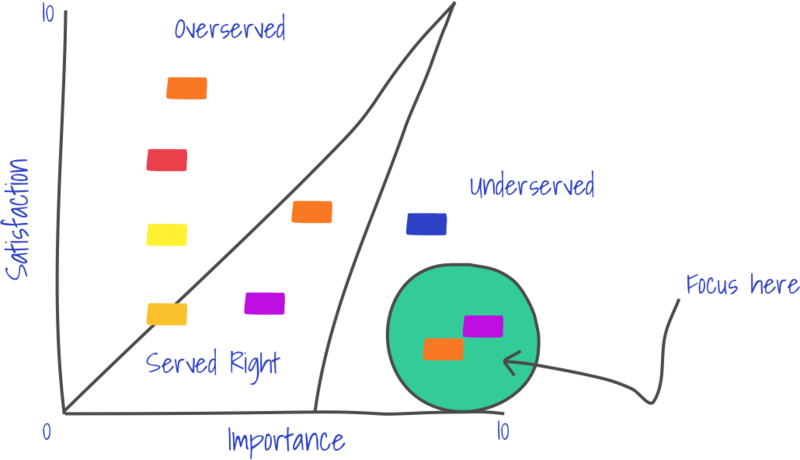 Play 2 is a process for clearly defining strategic focus, uncovering human motivation, diving deep into the situational context and forces encouraging or inhibiting some form of behavior change (i.e adopting your product or service), and framing clear reasoning for how a product or service can competitively differentiate. Play 3 is then a matter of augmenting design practice. When an organization’s fairly mature in this space, Play 3 helps them practice data minimization, progressive disclosure, and assists them to start consciously design data-driven value exchanges. Tick box hideaway terms and conditions don’t cut it here. When an organization is early in the journey, we’ve found 2 specific approaches and accompanying tools are the most effective starting points. 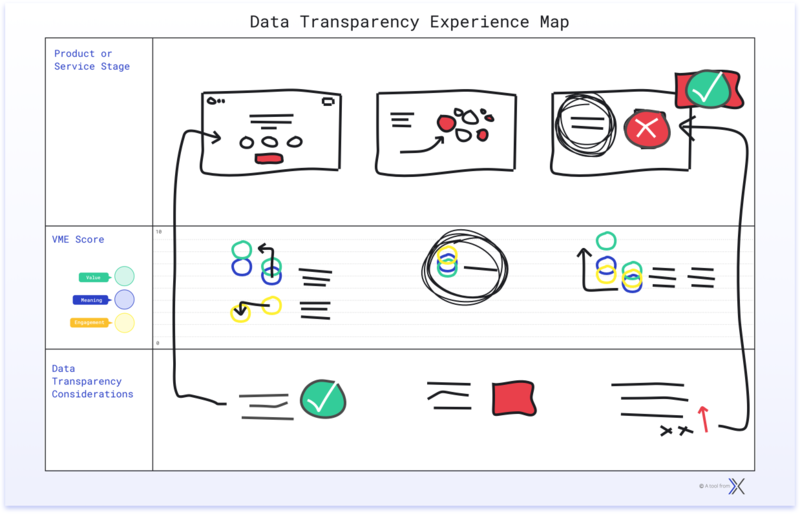 Approach 1, Data Transparency Experience Mapping, gives designers a simple toolkit to start gathering deep contextual insights from the people they serve. This approach is qualitative in nature. It supports teams in framing fairly informed hypotheses that then need to be put to the test. 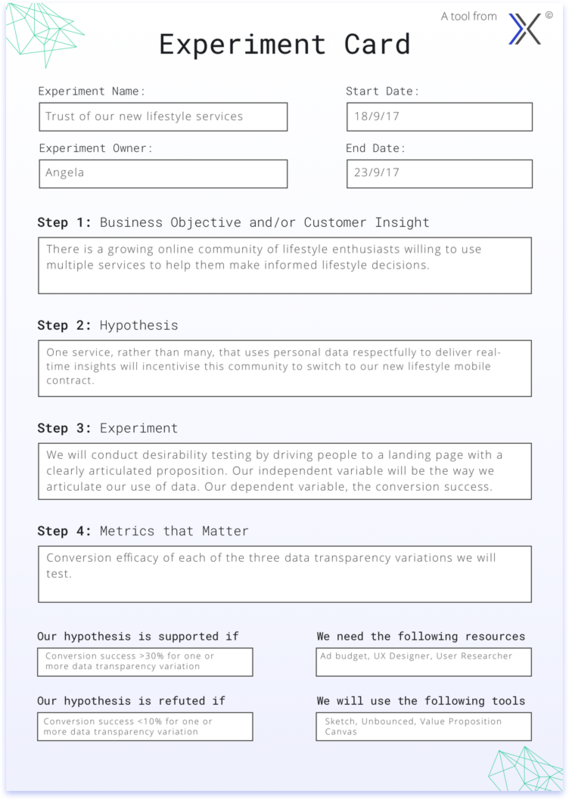 To back up some of the things we think we know from the qualitative research, we execute Approach 2, Data Transparency Experiments. This gives us a simple, repeatable way to support or refute our hypotheses. Or rather, this approach enables us to back up our qual with some quant. 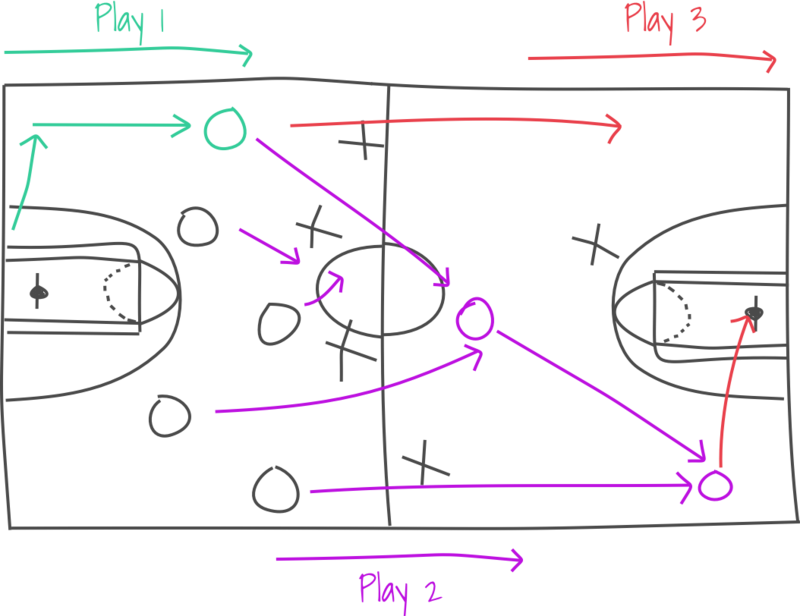 Rather than diving deeper on these 3 plays, grab the playbook if you’re interested. Let’s discuss what else you can do to start driving the change required to close the data trust gap. Right now we consider X best practice. Think of X as Material Design, NNG’s Usability Heuristics, or whatever combination of principles and guidelines you reference on a daily basis. It’s likely that tomorrow, or whenever these positive-sum models we’re referring to reach the masses, we’ll consider best-practice something that more closely represent X2. We’re not for a minute advocating all of the progress be thrown away—hence X2 rather than Y. Psychology, gaming, and many other disciplines have already helped augment the design industry and our output. 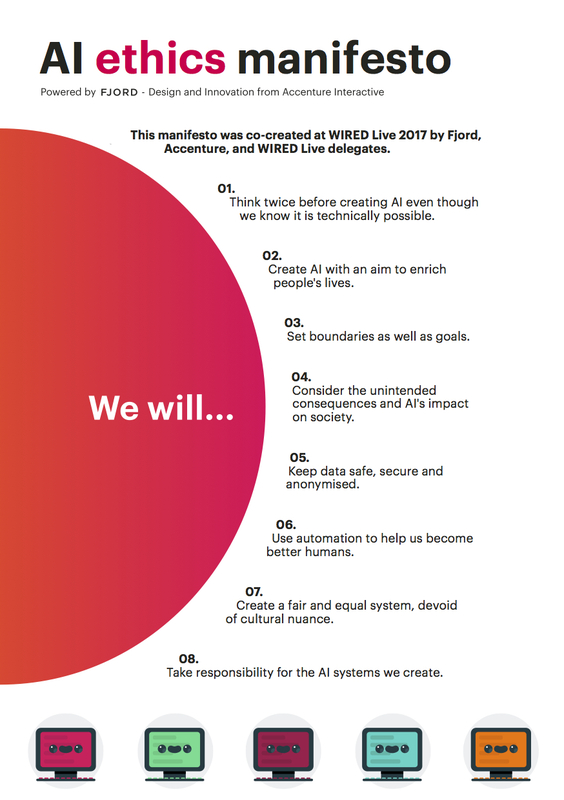 What we’re starting to see, which appears to be new given its coverage, is data ethics and genuine human-centric principles that give people the power to control what they do and don’t share, begin feeding into design practice. 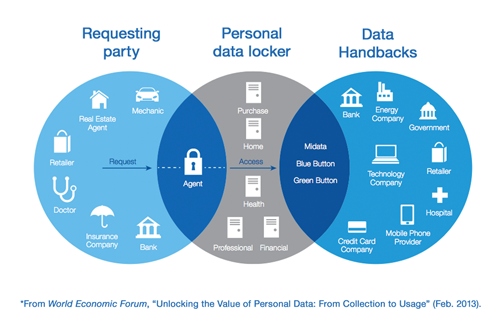 A Personal Information Management Service has a variety of form factors, yet its simplest function is to give people control of the data they do and don’t share. PIMS can manifest themselves via B2B, B2B2C, or Me2B models, depending on the proposition. Right now there’s a fairly epic proliferation of these services. Some of which are gaining independant traction. But importantly, many large organizations are taking note. It’s likely we’ll see public buy, build, and partner strategies take shape in this space over the coming months. If you’re processing personal data in some way, shape, or form, it’s probably worth familiarizing yourself with the unique approaches in this space. You might be able to learn from them, or better yet befriend them, in such a way you can work together to create mutual value. It seems data ethics have all of a sudden become a hot thing, but that’s probably not an accurate reflection of the reality. 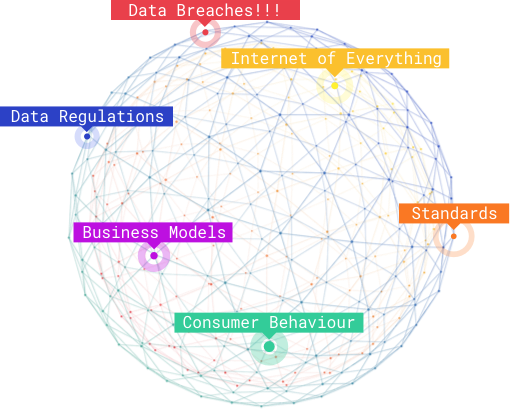 It’s more likely the result of converging trends—particularly regulations—that have the big players in tech standing up given the way their business models are about to be impacted. Google and others have recently joined the data ethics party, but there are many who’ve been advocating these models for years. Patents were filed, models and principles were developed, and more recently we’re seeing progressive standards emerging to support this pivotal function of the digital economy. You are only ever a temporary custodian of someone else’s personal data. I first heard this from Geoff Revill of Krowdthink at an event in London. Ever since it’s stayed firmly in my mind. 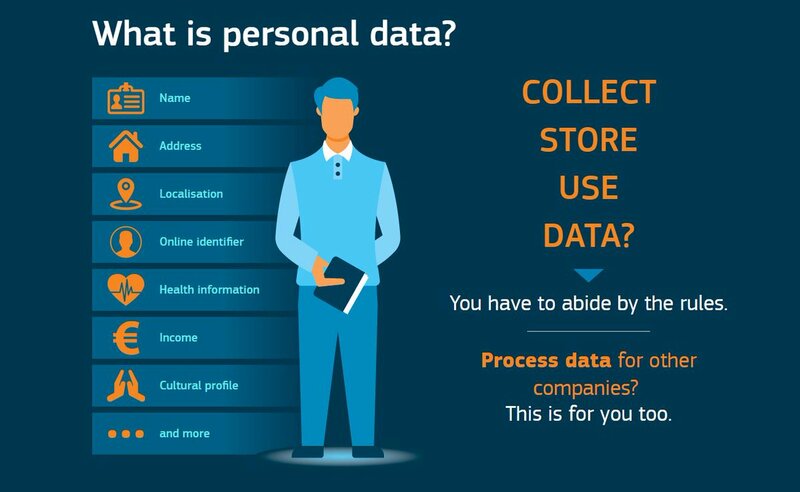 When designing value propositions, onboarding pathways, or customer service functions that require personal data, consider all personal data and metadata as belonging to the person (the data subject) it relates to. This makes even more sense under the GDPR given the scope of personal data has increased significantly. Data is more than 1s and 0s—it tells a story about someone’s life. If you want to become inherently trustworthy you have to start treating it as such. I’ve written about this on the InVision Blog before. Genuine cross-functional design collaboration, particularly when it involves a designer and a lawyer, is a rewarding and currently underutilized micro-trend we’ve been observing for a couple of years. If you’ve got European users or you’re based in Europe, then you’ve got to be doing this. You need to be taking the GDPR, ePrivacy Regulation, and the evolving regulatory landscape and converting it into your advantage. Working with PIMS is one way to do this, but another is getting the right people to contribute to the design process from day one. If you want to know more, read this. But don’t just take my word for it. Set an explicit objective, bring a lawyer into the mix, and start designing beyond regulation. This can become a major competitive advantage. It’s yours for the taking if you act quickly. How many times have you signed up for a service and literally had no idea how your data was going to be used? Yep, almost every time. Otherwise you’d spend the equivalent of 76 working days reading privacy policies each and every year. The current model is fundamentally broken. Rather than sounding like a broken record, let’s look at the problem. First off, what is a data exchange? In my view it’s a proposal. The company is offering said value, and in return they need to process your data for their primary purpose. By fulfilling their purpose they generate value. Although it’s nowhere near that clean today, and secondary uses of data are risky at best, this is the gist of it. A data exchange is a value exchange , or at least part of one. So, let’s flip the model. As designers we need to think about data exchanges as a proposal—as a value exchange. When we try and exchange value, we want it to be mutual, right? The ideal scenario is both parties get an outcome they’re happy with. Well, this is is perhaps the simplest attitudinal shift that can help you make significant progress, and competitively differentiate, when asking your customers for access to their data. In practical terms, propose the value upfront. Make it crystal clear why you want to process the data and what someone is getting in return. From there give people options. Remember, positive not zero-sum. Then reinforce the fact they’re in control, and ensure you’ve made it easy for them to exercise that control. Here’s a simple wireframe I pulled together to show some of this thinking. It should serve illustrative purposes only. 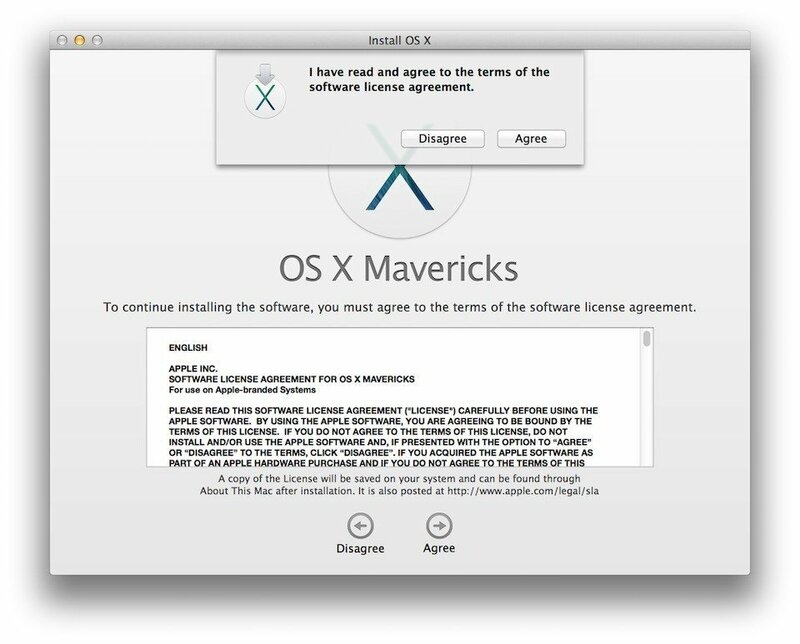 Note: Depending on the category of personal data, you may have to seek expressed, rather than explicit, consent. In the fictional example above, this would almost definitely be the case given the data would be defined as “sensitive.” This again is why working with lawyers early and often is so valuable to your data (value) sharing causes. 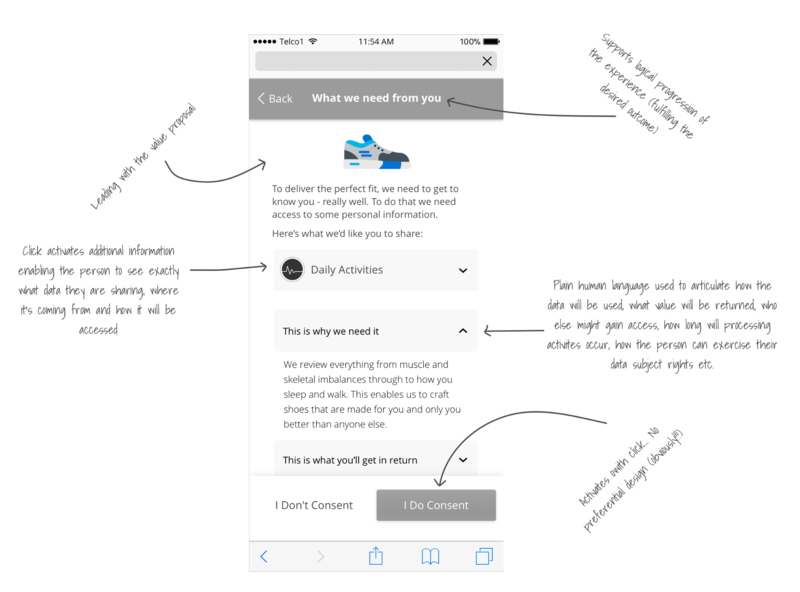 This will change how a user affirms their consent for you to process their data and will definitely impact the user experience. As far as design patterns are concerned, we’re observing everything from layered approaches that cater to different levels of “data consciousness” through to completely different form factors like imagery and video that cater to different learning styles. Regardless of the form factor, these experiences all aim to deliver an appropriate balance of privacy (read: the power to choose what you do or don’t share) and utility. For further guidance on data sharing, check out Kantara’s working group on consent receipts and User Managed Access (UMA). Then back it up a quick review of different PIMS providers to see how they’ve tried tackling person-centric data sharing. It’s worth noting this review will only get you started. You’ve then got to figure out how to apply these human-centric data sharing principles and potential practices to your context. By putting in this effort now I’d like to think your work will help us all learn, refine, and eventually develop valuable best practices in the months and years to come. So much of this market is new. It’s evolving at a rapid pace. We’re seeing pure data marketplaces emerge. We’ve got open source projects supporting privacy preserving analytics. We even have a classification of everyday living. All of these capabilities are more than exciting—they have transformative potential. But the reality is that it has to start with us. It’s our attitude and behavior that really matters. By learning about the movements in this market, embedding a strong ethical foundation into our principles and practices, collaborating with the right people early and often, and evolving the way we think about data exchanges, we can contribute to the progress being made. We can be part of designing cultures, workflows, and products that are inherently trustworthy. Trust is the key ingredient of modern, data-driven businesses. But as we’ve highlighted, trust shouldn’t be your goal. What’s really worth working towards: a culture, workflows, and outputs that are inherently trustworthy. Through an organizational trust strategy and a re-imagined, inherently human-centric approach to data acquisition, storage, and processing, your trustworthiness can become the competitive advantage you seek. With organizations all around the world making this a priority, the time to start is now. Brittany is a designer and day dreamer building experiences at Loom. She loves experimenting and cultivating growth, which can manifest anywhere from playing with product to taking care of her plant babies.